Master story tellers are the best that you could possibly hope to learn from, their ideas and strategies will help you to excel far beyond the norm of story telling practices. The strategies that you will learn here will still be encapsulated by all the things that stories help hypnotists do in their line of work. Stories have been one of the secure rocks in the foundation of hypnosis. They exhibit all the elements that you are taught to use and do so on an unconscious level that evades resistance. 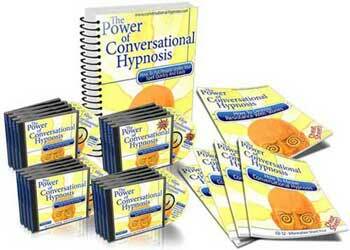 The language and art of story telling is deeply embedded in the concepts and ways in which we use hypnosis. The story telling tips and strategies in this article are straight from the horse’s mouth these are real techniques used by master story tellers and they will enrich the ways in which you practice and tell stories to those around you. The first strategy is to let your own stories ‘slip out’ naturally. In this strategy you will begin to see that over time you will have trained your brain how to tell stories. As you do this your own stories will begin to naturally flow. Your mind will start to relax as you get more accustomed to telling stories and you will begin to be reminded of the stories in your life that fit into the contexts that have been set. As you tell stories you will remember events and times in your life that you will be moved to insert into the story you are telling. This will happen more often the more used to telling stories you are and before you know it you will be telling stories that are completely taken from your own true experiences. The second master story tellers’ strategy is to collect a storehouse of great stories. There will be stories that you tell that will become your favorites. These will be the stories that have a great impact on yourself and those around you. They will evoke a response and stir emotions. Regardless of whether these stories are from your life, the lives of others or completely fictional it does not matter. These are stories you should write down, record the highlights of them so they are captured. The one thing you don’t want to do is to memorize your stories, let the little changes happen as long as the big things stay the same if it a truly great story already. Reciting stories word for word is one of the best ways to completely kill a story. As you do this you will be rehearsing the story so it will provide practice as well as a great library for you to access whenever you need it. This will also reinforce your ability to remember and revisit the stories that are perfect for situations you run across with the people you are helping. The third story telling master’s strategy is to remember the highlights of each story. This concept is a time tested one that emphasizes that we should carry the highlights of a story with us but be negotiable in the other details. Story tellers through out history have always had audiences that returned repeatedly to hear the same stories over and over again. This is because they never told the story in the same way, small details change. Sometimes it would take hours to finish a story and other times the same tale could be told in mere minutes. Use your hypnosis tools to help these ever changing details to unfold; things like sensory rich descriptions, tone of your voice and your linguistic skills. Let changes take place in the rhythm and pace of the story, all these things will re-excite your audience over and over again, it will keep them coming back for more. Finally the fourth master story teller’s strategy is to use your signal recognition systems. This is all about watching and observing the signals that the listeners are giving to you about what they want to hear, what they need to hear. As long as your signal recognitions system is on and alert you will be able to tune change your stories in the ways that will fit your audience. The reason your signal recognition system is so important here is because you will be looking for the unconscious signals that the story is right or wrong for the listener. Once you determine how you need to tweak your story you will be telling the right story to the right person or people, again want they want and need to hear.